Most wine collectors would tend to agree with Plato’s declaration. If you wanted to know just how much value collectors assign to their wine, though, then you must visit them at home. 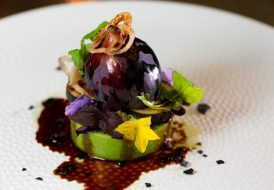 Chances are, they are some of the many modern-day oenophiles who are bringing the residential wine room to the surface. What was once relegated to ancient caves in Europe and dimly lit underground cellars where only staff members fetched bottles has now been elevated in the home — sometimes literally. 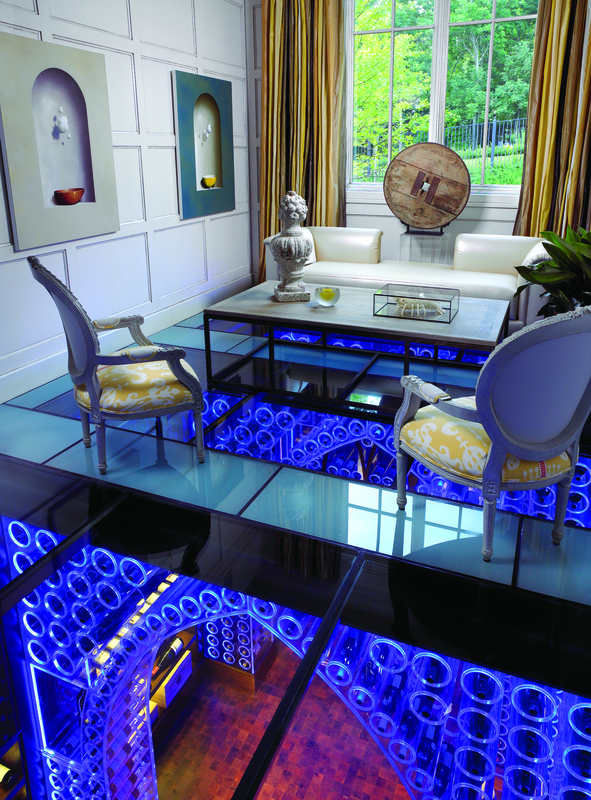 Increasing numbers of affluent homeowners and budding oenophiles are building custom glass-enclosed wine rooms with the express goal of putting their collections on display. Some are opting for large-scale trophy wine rooms that double as entertaining spaces for storing, sipping, dining and sharing with guests. 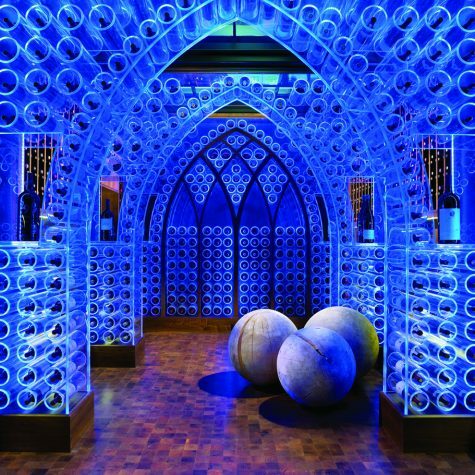 Others are turning to innovative racking solutions that transform bottles into works of art on the wall and pop-up Spiral Cellars that save space and offer a “wow” moment for guests. 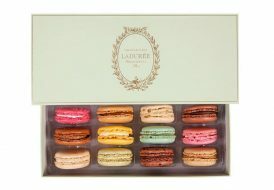 And it’s not only wine connoisseurs. 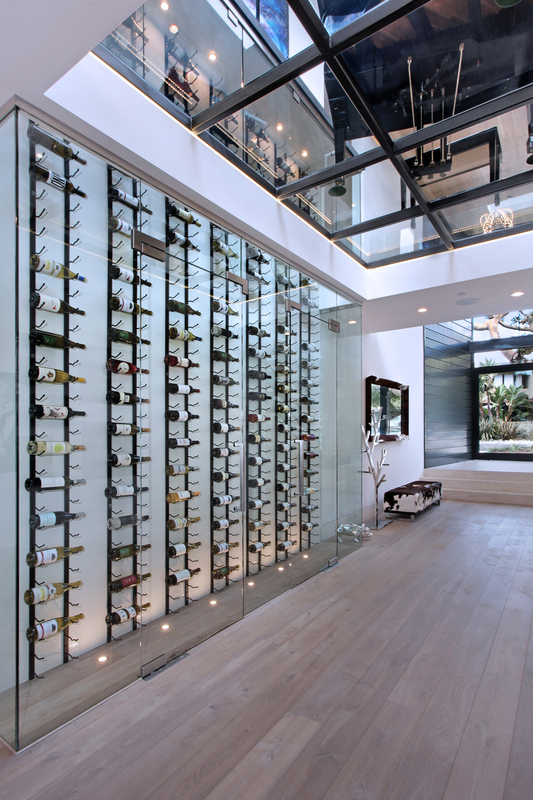 Even those who don’t drink wine are installing contemporary wine rooms and racking systems in their homes, says architect Chris Light of Laguna Beach, California-based C.J. Light Associates. The rise of the wine room began in the late 1990s and fully took off in the early 2000s, as more Americans embraced wine. According to the Wine Institute, Americans’ wine consumption has steadily increased for the last 25 consecutive years. 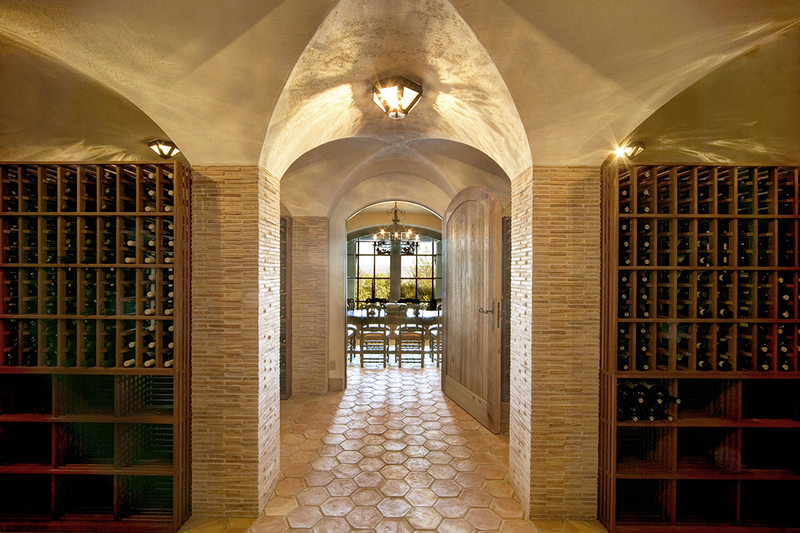 As a result, custom wine cellar design has grown from a niche industry catering exclusively to the ultra wealthy into a flourishing multimillion-dollar business appealing to a wider swath of sophisticates. While Genuwine is based in Winnipeg, Canada, Hurst says about 85% of their business is in the United States, led by Florida, New York and California — where most pockets of wealth are concentrated — as well as resort markets like Wyoming. Wine walls are also popular, since they act as room dividers between spaces like the formal dining room and living room. 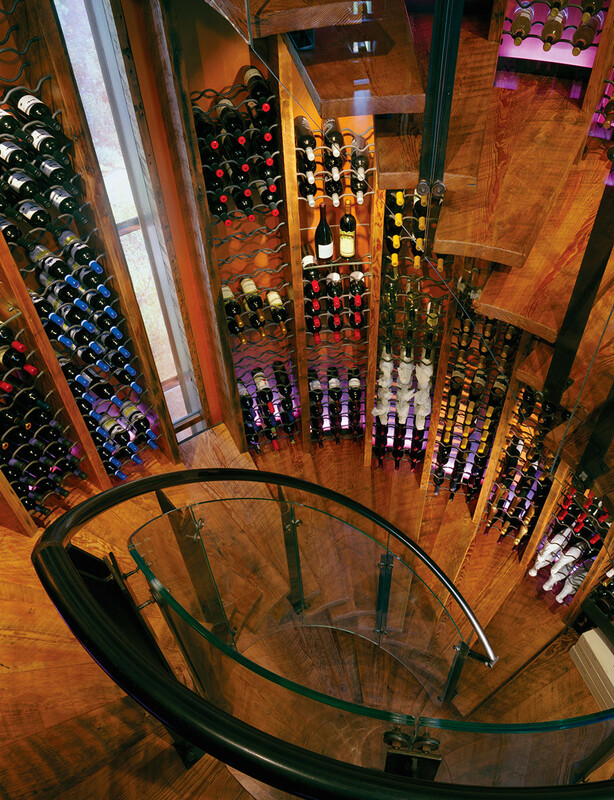 Keeping with the contemporary style, cable tension storage systems — such as Genuwine’s The Ring — are another sought-after feature since they allow the wine labels to be the real stars of the show. “The effect is that the bottles look like they are floating in the air,” says Hurst. 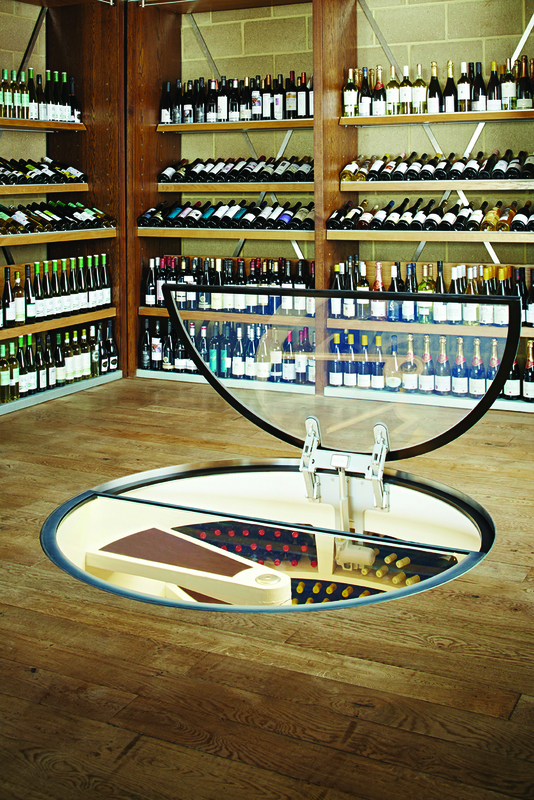 Other types of contemporary racking made out of metal, glass and acrylic are highly sought after because they allow homeowners to display their wine in unique and artful ways. Some savvy homeowners are even going a step beyond to develop technologically advanced custom racking systems to suit their needs. Hurst recalls one client who wanted a two-story Ferris wheel-style conveyor system in his wine cellar, “so he could be on the top floor, hit a button and the conveyer would move up the room.” Another client requested a motorized spinning device to show off his custom wine label. 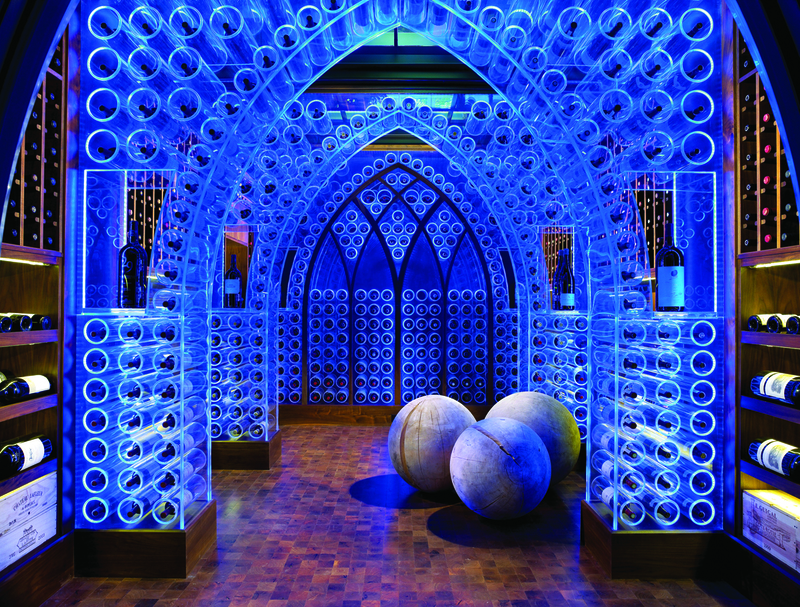 Light may be wine’s ultimate enemy — but it is an essential element in today’s wine rooms. In fact, many architects and design teams work closely with lighting designers to make sure that artistic elements and bottles are accented properly, while also striking the right ambiance in the space. Backlighting provides one of the strongest visual impacts. 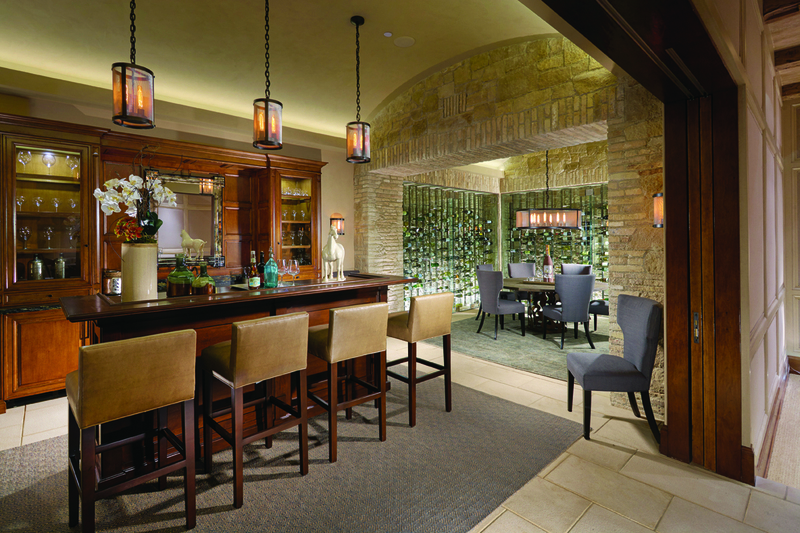 Use of LED lighting — a cooler alternative to traditional incandescent and halogen lights — also allows homeowners to create unique color patterns in their wine rooms. 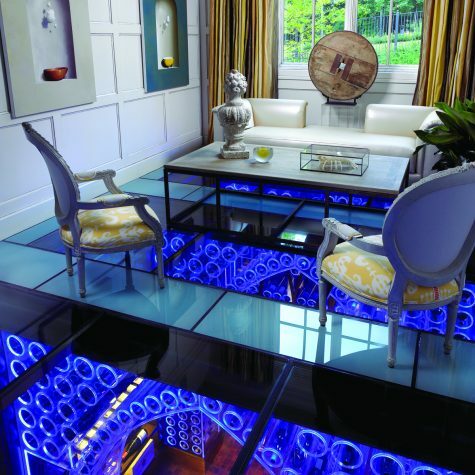 For a 2,000-bottle wine cellar set underneath a pool house in Franklin, Tennessee, designer Jamie Beckwith opted to go high-tech by installing color-changing LED lights, acrylic wine racks and a glass ceiling with retractable blackout shades to protect the wine. She calls the look “TRON cathedral,” which matched the Old-World Gothic style of the 12,398-square-foot residence. 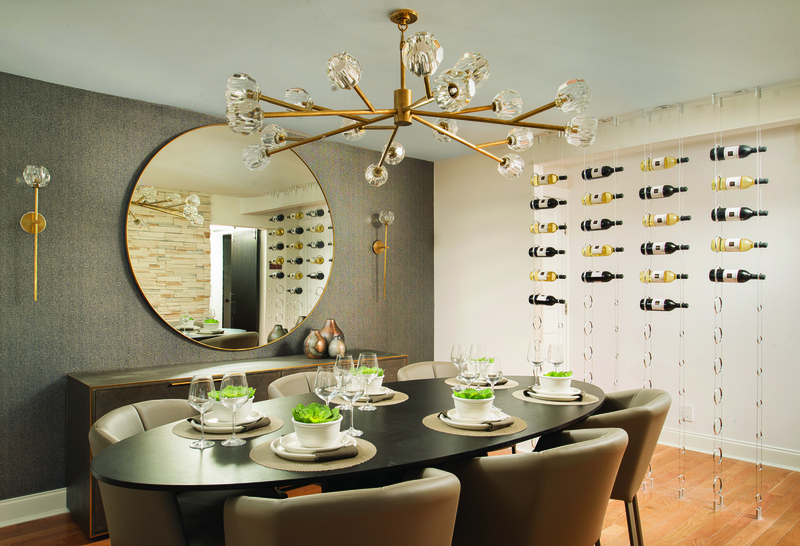 Many modern wine rooms are serving as multifunctional entertaining spaces. These spaces tend to be positioned on the lower level of the house. They are more popular among serious collectors who have a large wine portfolio, plus the square footage and financial means to build them. 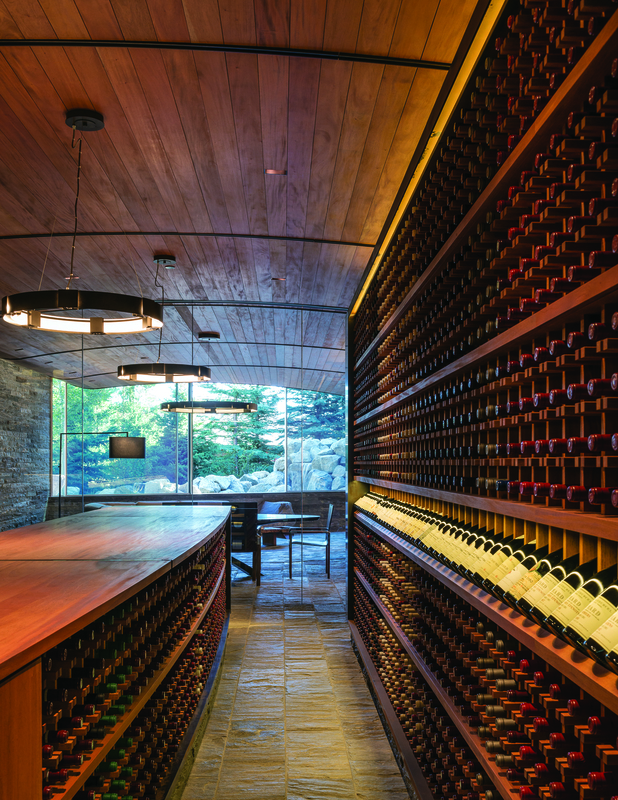 For a Silicon Valley-based client’s mountain refuge in Jackson Hole, Wyoming, Kevin Burke of Carney Logan Burke Architects designed a stunning subterranean space with a wine room that holds over 7,500 bottles in a 55°F and 70% RH environment, a tasting area and an entertaining lounge. Set underneath the home’s garage, the expansive space evokes the feeling of a modern wine cave with a wall of stone, while a curvilinear ceiling made of solid mahogany “feels as if you’re almost unraveling a large wine cask.” A wall-to-wall single pane of glass extends to the outdoors to grab natural light. The wine itself lives behind a UV-protected glass wall and motorized curtain. In Laguna Beach, Light designed a similar subterranean space, day-lighted to the beach and a dining room with a wine wall as storage. 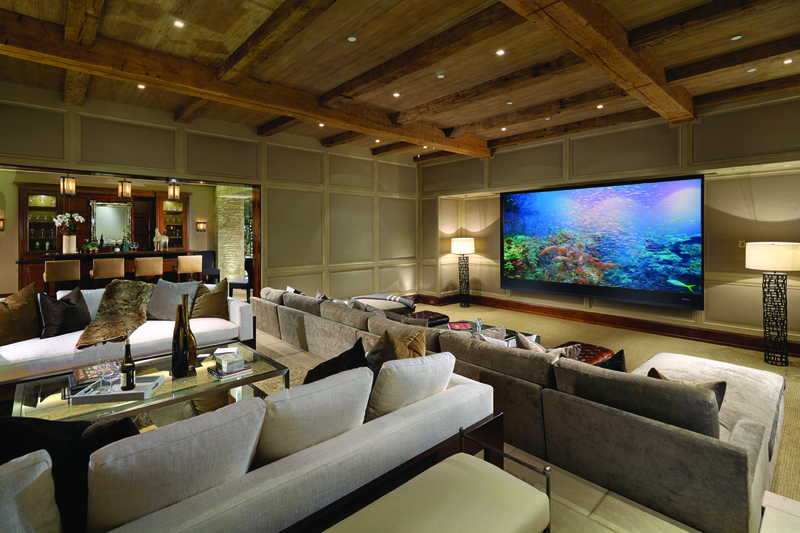 The idea, he says, “was to have guests come to the house, meet and greet in the living room with cocktails and usher them downstairs to the grotto for a special tasting experience, then roll everyone into the theater for entertainment.” That concept is front-and-center in one of his custom residential projects in Laguna Beach, currently listed with Tim Smith of Coldwell Banker Residential Brokerage in Newport Beach. The lower entertaining level houses a state-of-the-art game room, full theater room, library, exercise room and a tasting room that is surrounded by a contemporary glass wall with a temperature barrier to showcase a wine collection. Developed in 1978 by a Frenchman, the Spiral Cellar system uses the earth to insulate and create optimum storage conditions. 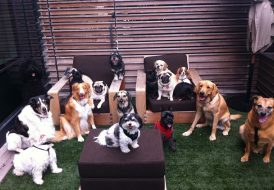 They have been mainly concentrated in Europe; only recently have they gained a following in North America in places like Silicon Valley and Texas. Spiral Cellars use passive ventilation to keep the temperature at a cool 55°F and can hold up to 2,000 bottles. They are fabricated from precast concrete modules and can be fitted into the ground below a property, or even above ground within a basement or crawlspace. They come with a commercial-grade climate control system and a range of entry-door options spanning from standard wood to retractable glass. 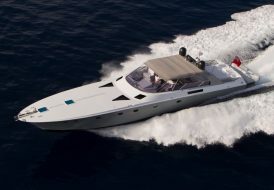 Customization and upgrades might include leather step treads or flooring, an LED lighting package or premium finish options, including color selection. Carney Logan Burke Architects adapted the Spiral Cellar concept for a 300-square-foot wine silo on a former ranch on the Snake River in Teton County, Wyoming, which was meant to house the owner’s private wine collection and connect to an existing “entertainment” building. Inspired by a wine cask, architect Eric Logan created a unique interior space using reclaimed fir woodwork and a spiral staircase, which accesses a display of wine bottles organized around the perimeter. The stairs ascend to the roof where both the wine and views of the landscape can be sampled. Article by Alyson Pitarre; This story originally appeared in the fall 2017 issue of Homes & Estates magazine.